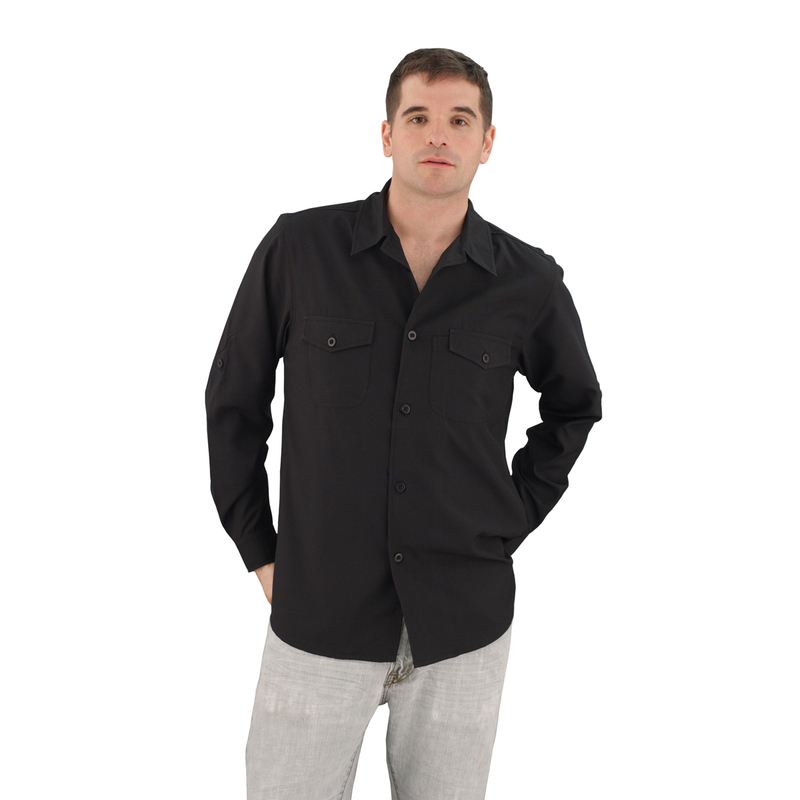 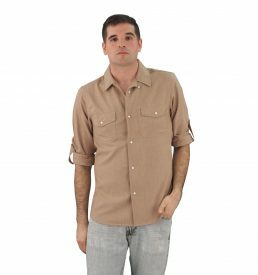 This 100% polyester black work shirt offers moisture wicking and UV protection. 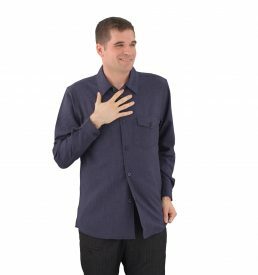 This is a fully functional easy care style. 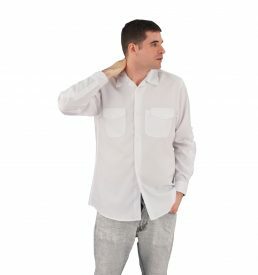 Machine wash, tumble dry, no ironing required. We have also added a pen/tool pocket for server’s use.